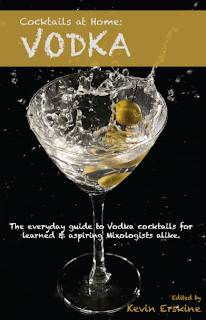 I contributed to a book about Vodka. What? Vodka's cool! VODKA'S COOL!! Some other people are in there too. I don't exactly remember their names but I think it's Kevin Moleskin, and Jeff Emmentaler, and President Gary Reagan, and the guy from O'Neil Surfwear. Anyway, it's free and in .pdf format. If you want it on paper, you can hit "Print" and kill trees and stuff. Check it out here. It's free but you can send me money if you want. A lot of people are sure to have the problem of building a home bar without having to spend $5000 on a home bar unit. Here's a solution using IKEA gear. Hey, you're not going to be able to put it together correctly anyway thanks to instructions that are completely vague and have no words whatsoever. It's like a mime trying to tell you how to do build an atomic bomb.